The enactment of the Real Estate (Regulation and Development) Act, 2016 has brought a new regulator which deals with the disputes which falls under the provisions of this Act i.e. 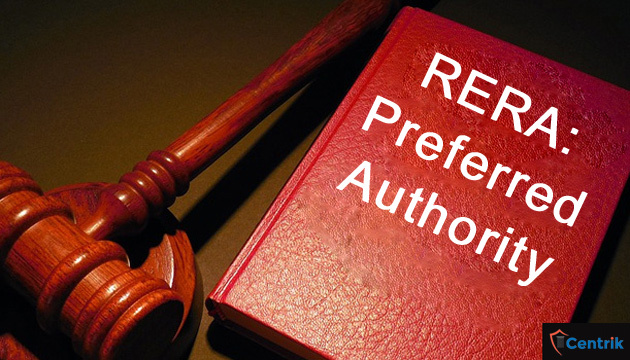 a buyer has a legal right to approach RERA Authority if the builder has breached any of the terms and conditions of Builder-Buyer agreement or unable to provide possession on time. Since the implementation of the RERA act, the RERA Authorities are flooded with the complaints of the perturbed home-buyers. RERA now has become the most preferred authority where the aggrieved home-buyers can reply upon for the redressal of their grievances. The State of Maharashtra has received 4915 complaints so far and out of those,3055 complaints have been disposed off and proceedings on remaining 1500 cases are still going on. And as far as the Haryana is concerned, the Authority have received around 1800 complaints so far and receiving 15-20 complaints every day, the chairman of the bench Mr. Khandelwal said the Authority needs more benches to dispose of the cases as the authority is under staffed and only 20 law interns are managing the complaints. In the State of Uttar Pradesh, the UPRERA has received around 8100 complaints, of which 2200 have been disposed off. As per the RERA Authority of Uttar Pradesh by January 2019 all the pending cases would be disposed off. The State of Uttarakhand has around 266 complaints, where as Karnataka and Madhya Pradesh had received 503 and 1268 complaints respectively. The aforesaid statistics shows that the RERA has been able to won the confidence of the people and it has turned into the most preferred Authority as far as the Real Estate disputes of buyer and builder are concerned. According to the recent survey, the homebuyers have more faith in RERA than the consumer forums and police complaints. In the light of above finally we can conclude that homebuyers now feels that the RERA can bring justice to them and they are not hesitant to file their complaint with RERA for the swift disposal of the cases.